Body bling continues to trend, now with emphasis on nails and lashes that double as art pieces. We've seen lots of cool nail polishes and coverings, including glow-in-the-dark and fuzzy velvet appliqués. 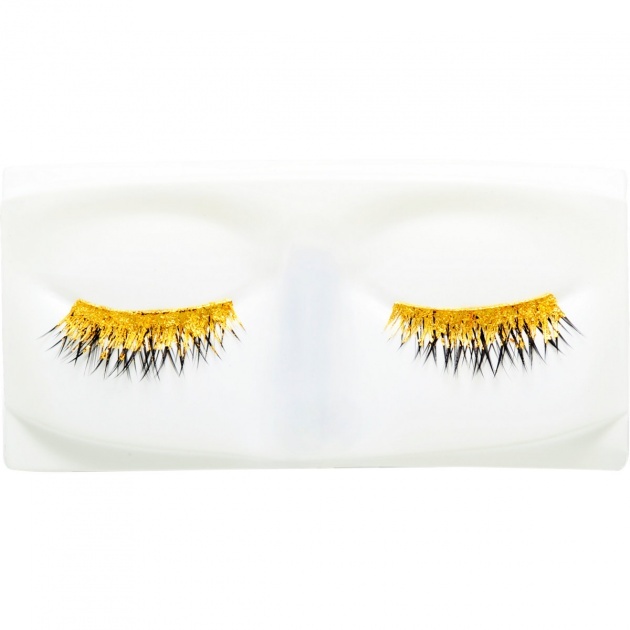 Now the New York department store Barney's is selling 24-carat gold eyelashes made by Kre-at Beauty. The lashes are gold-foiled by hand and selling for $295. Additionally, gold lashes combines two fashion trends: the never-ending quest for long lashes and the fashion industry's desire to create most every accessory in gold.